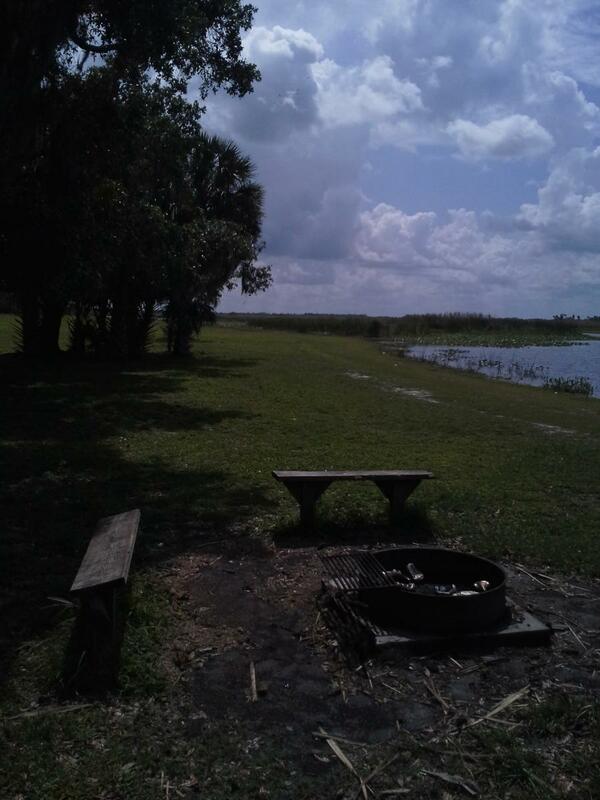 This campsite is on the bank of the St Johns River, accessed by Hatbill road. 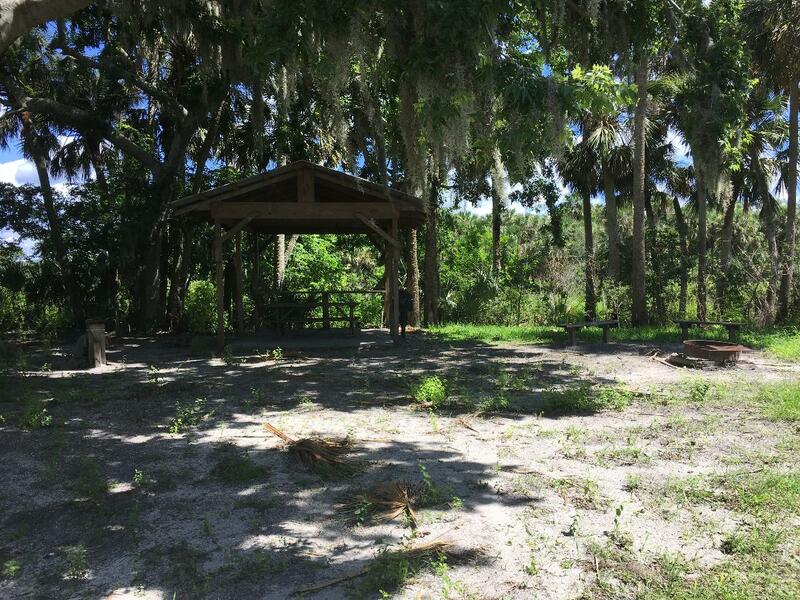 Shaded by cabbage palms, this site is equipped with a fire ring, 2 benches, a covered pavilion, picnic table, and 2 grills. There is also a potable water pitcher pump and portalet next to the campsite. Vehicular access is permitted with reservation. 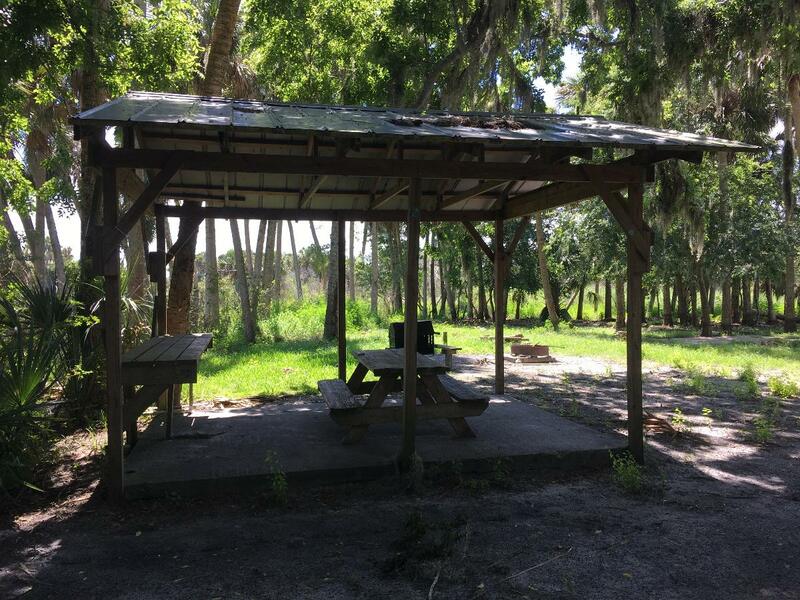 Adjacent to this site is an inclement weather shelter to provide safety for boaters on the river. Camper’s should be aware this shelter is not part of the campsite and cannot be reserved. 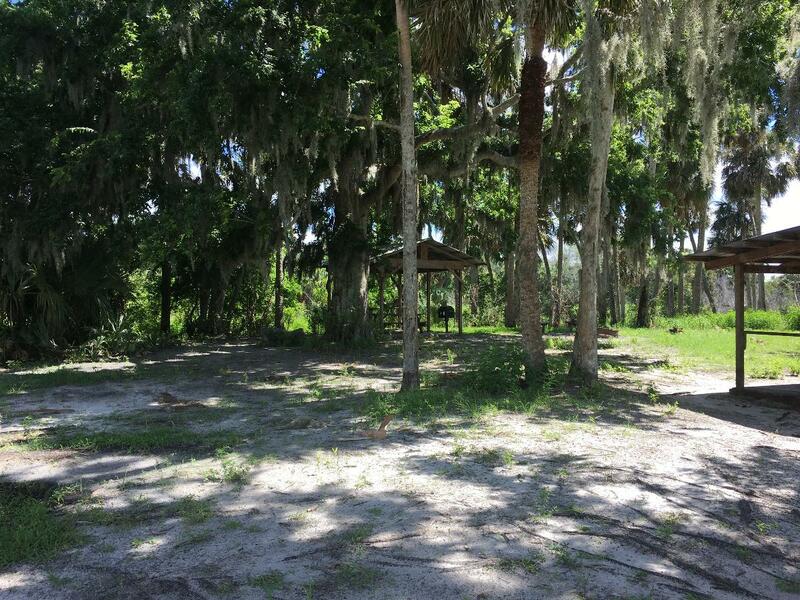 The property is located off Hwy 46, approximately 4 miles West of I-95, on Hatbill Rd. (look for Loughman Lake Lodge sign). The gate to the campsite is 3.8 miles after the pavement ends on Hatbill Road. The gate is on the west side of the road – at the curve in road and approximately 1 mile north of Hatbill Park. You may arrive at the campsite no earlier than 1 PM and must leave no later than 11 AM.